Members: Mario Aguilar, Marcello Averburg, Jorge Claro, Ruth Connolly, Clarita Estrada, Jaime Estupiñán, Jaime Jaramillo, Peter Lapera, Alvaro López, Orlando Mason, Italo Mirkow, Lucia Redwood. John Redwood, Jorge Requena, Alfonso Sanchez, Jairo Sanchez, Raul Sanginetti, Pedro Turina, Ricardo Zavaleta, Germán Zincke. The main objectives of this tasting are to appreciate the features of each wine, distinguish the features of red wines from the “right and left bank” of the wines (two are from the right Bank and one is from the left bank) and rank them in order of preference. The Wine: This wine is 100 percent Sauvignon Blanc. “The Doisy-Daëne Blanc Sec 2014 has a pleasant, refined bouquet with scents of green apple intermingling with lime and granitic scents. The palate is taut and fresh with a sharp, almost but not quite “shrill” line of acidity, with a penetrating malic finish that leaves the palate feeling totally refreshed and asking for more. Very fine.” (Robert Parker)The Winery: The 16.3 hectare Chateau Doisy Daene Sauternes vineyard, situated, close to Chateau Climens , in Barsac, has a terroir that consists of red sand, clay and limestone soils. The vineyards are planted to 80% Semillon and 20% Sauvignon Blanc. Although there is a small portion of Muscadelle planted in the vineyard as well. The vines are planted to a density of 7,000 vines per hectare. On average, the vines are 35 years of age. 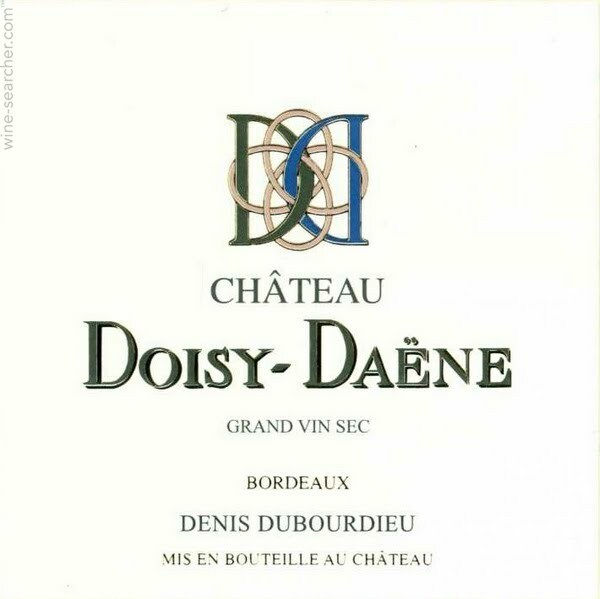 Aside from their sweet, white Bordeaux wine, which is their mainstay, Chateau Doisy Daene produces two additional wines. They make a dry white wine from 100% Sauvignon Blanc, which is sold as a Bordeaux blanc. This is denoted by the term Grand Vin Sec, which appears on the label. The Wine. Château Fleur Cardinale is a 60-acre Grand Cru estate in St.-Emilion. Though the estate dates back several centuries, its current owners, Florence and Dominique Decoster, purchased it in 2001. The flagship wine is about 80% Merlot, 15% Cabernet Franc and 5% Cabernet Sauvignon and about 45,000 bottles are produced annually. The wine displays a deep, dense-coloured hue, while on the nose there are powerful ripe fruit aromas mingling with floral notes. Feminine in style, the wines have a seductive, rich mouth-feel, underpinned by elegant, silky tannins. The finish is long and harmonious, promising very long ageing potential in bottle. The Winery. Thanks to constant investments, both in the vineyard and in the winery, Chateau Fleur Cardinale quickly became a blue chip of the appellation. 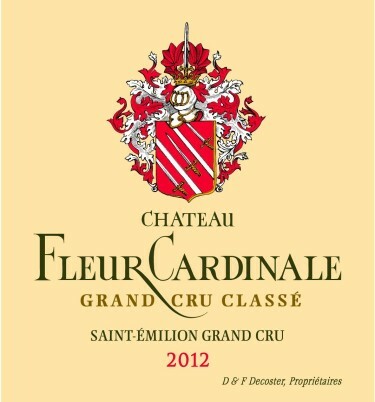 Noted for its consistent quality, Château Fleur Cardinale was promoted to the rank of Saint-Emilion Grand Cru Classé in 2006 and confirmed in 2012. The two properties owned by Florence and Dominique Decoster extend across a 23.5 hectare area for the Château Fleur Cardinale, and a 4 hectare area for the Château Croix Cardinale. The two vineyards are planted on clay-limestone soil in the middle of the hillsides and they enjoy an identical harvest, notable for its 75% dominance of Merlot together with 20% Cabernet Franc and 5% Cabernet Sauvignon. The Wine: The wine is 80 % Merlot and 20% Cabernet Franc. To produce the wine of Chateau Gaby, the wine is fermented and vinified in temperature controlled, traditional shaped, cement vats. 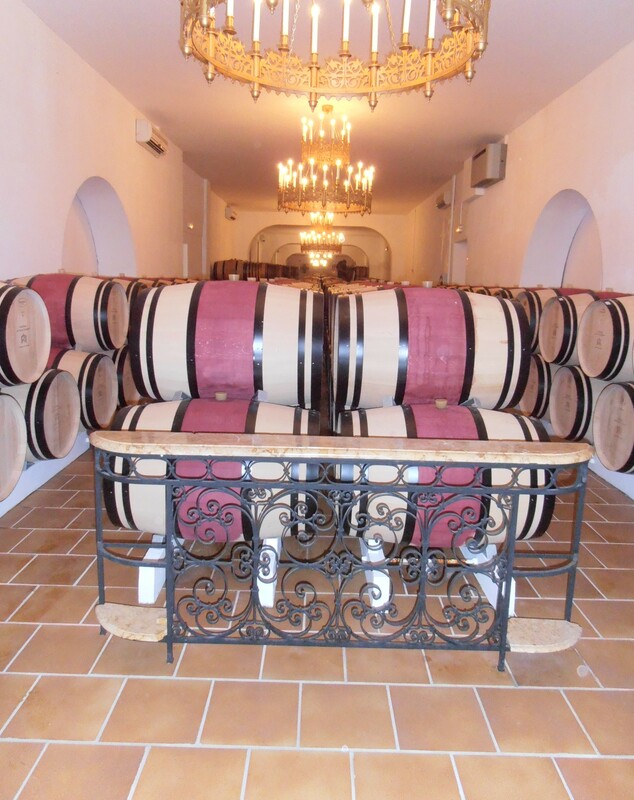 The wine is aged in 55% new, French, oak barrels for between 12 and 18 months, depending on the vintage. There is a second wine , La Roche Gaby. La Roche Gaby chose its moniker as a homage to the estates long history recalling that La Roche Gaby was the original name of the chateau and its wine. 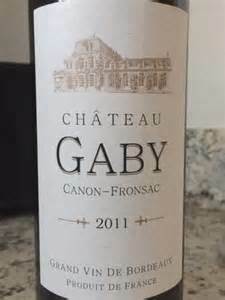 On average, 7,000 cases of Chateau Gaby are produced each vintage. The winery is located on the right bank are northwest of St-Émilion and Pomerol. Canon-Fronsac is located within Fronsac. The wines are quite similar, with Canon-Fronsac having a slightly different soil than Fronsac. They are another example of good-value Bordeaux, benefiting from close proximity to the river and good soils similar to their southern neighbors. In the past few decades, winemakers have made more of an investment in making high-quality wine from the Fronsac region. The Wine: This wine is a blend of 65% Cabernet Sauvignon and 35% Merlot. James Sucklig describes the wine as “very intense for the vintage in the Medoc with blueberry, mineral and blackcurrant character. Full and chewy. Needs two or three years to soften but already there.” Other features include earthy, tobacco, fresh, bright, crisp, cassis and dark cocoa, with a tannic, energetic, smooth finish. The Winery: Today, the Château Cantenac Brown vineyard covers 42 hectares in the south of the Margaux appellation, mainly in the Cantenac commune. Located in the communes of Arsac, Soussans, Margaux, Cantenac and Labarde, the Margaux appellation terroirs are terraced groups of gravel, ensuring good natural drainage. Each terroir is different and produces a unique wine. 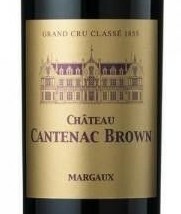 The Cantenac Brown soil is typical Medoc gravel. This beautiful, brilliant quartz, formerly called “Medoc diamonds” reflects the sun’s rays onto the grapes by day and then releases the heat stored during the day to warm the grapes by night. Cabernets, in particular Cabernet Sauvignons, do well in this soil. They produce fine wines, with an intense bouquet, which are suitable for aging. Merlot, with which they are blended, provides color, richness and smoothness. There was a tie amongst the three red wines all at 91 points. Experts Score shown is an average of internationally recognized wine experts. This entry was posted in Meeting Abstract and tagged Bordeaux, Canon- Fronsac, Margaux, St. Emilion. Bookmark the permalink.